How Much Does Reflective Insulation Cost? Reflective insulation helps block the sun\\\\\\\\\\\\\\\\\\\\\\\\\\\\\\\'s heat from entering a home. This will reduce the amount of electricity you use to run fans and air conditioners. It can cut the total yearly cooling expense by around one-tenth, providing a favorable return on investment in southern areas. Additionally, this product makes the attic a more desirable storage space by minimizing extreme temperatures. It features a reflective metal layer that runs along the ceiling or floor of an attic. As an alternative, some products can be directly installed on outdoor roof surfaces. How Much Does It Cost To Install Reflective Insulation? Material and labor expenses are divided almost equally when you hire a contractor to perform this work. On average, they both represent roughly 49% of the total cost to install reflective insulation. Labor rates include various overhead costs that the contractor must afford, such as building rentals, transportation, utilities, marketing and communication services. Another ￡7 to ￡11 goes to pay for tool replacement and maintenance. These figures are based on a project that involves insulating a 100 by 10-foot area. Costs have the potential to rise when you need to insulate an attic with an unusual shape. Reflective insulation is not really a DIY project. We recommend that you get in touch with contractors to complete this job for you. They have contacts for bulk buys, years of experience, and will complete the job in no time. Begin by comparing as many quotes as possible. Check for references before you have any work done. This will ensure that you get the best value for your money! Factors To Consider The attic\\\\\\\\\\\\\\\\\\\\\\\\\\\\\\\'s square-footage has a major impact on installation expenses. Consider the following cost influencing factors which you may run into when installing reflective insulation. when you install it existing insulation shape and dimensions where it\\\\\\\\\\\\\\\\\\\\\\\\\\\\\\\'s installed thickness of foil Your choice of single or double-sided foil is also consequential; two sides may increase the materials fee by around 40%. A thick foil that contains air bubbles will provide a more effective heat shield but it costs extra. Furthermore, it matters when you decide to install this product. The price will be substantially lower if you do so during the initial home construction phase. On the other hand, it will be significantly more expensive if workers need to remove old insulation before they can install the reflective foil on your attic ceiling. Placement of Reflective Insulation Affects Cost The installation process may take more or less time depending on where you choose to locate the heat barrier. This has a considerable impact on labor expenses. For instance, you\\\\\\\\\\\\\\\\\\\\\\\\\\\\\\\'ll spend the most if you put it on the outside of a roof. A mid-priced project usually involves installation on the attic ceiling. The least expensive option is to put it on the floor. Keep in mind that the overall accessibility of an attic or roof will affect pricing as well. Relevant factors include the number of stories, ceiling height, and access door type. Reflective Insulation Cost Breakdown It\\\\\\\\\\\\\\\\\\\\\\\\\\\\\\\'s rare for this service to cost any less than ￡385. This amount of money might cover installation in a relatively small attic during home construction. The average expenses are roughly ￡1,156. 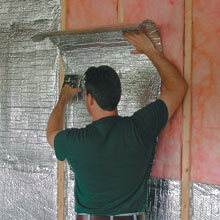 You may spend this much for insulation with double-sided foil in an existing residence. It could also cost this amount if you have a rather spacious attic. Some homeowners receive reflective insulation bills as high as ￡2,621. You might have to pay this much if existing insulation needs to be removed and you request thick foil that also provides a vapor barrier. Rooftop placement could help the price reach this level as well. Don\\\\\\\\\\\\\\\\\\\\\\\\\\\\\\\'t neglect to consider your location when estimating the cost to install reflective insulation. 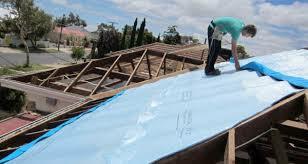 Contractors\\\\\\\\\\\\\\\\\\\\\\\\\\\\\\\' supply, equipment and insurance expenses differ by region. The weather conditions in your area also affect the price of this product by helping to determine the level of demand for it. You\\\\\\\\\\\\\\\\\\\\\\\\\\\\\\\'re more likely to need thicker insulation in some climates as well. How To Get a Free Quote We can help you gain a better idea of what reflective insulation services cost locally. Please enter your zip code in the space provided on this page. 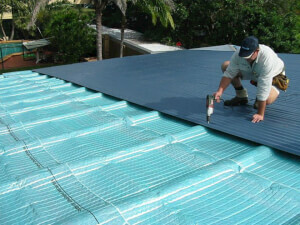 You\\\\\\\\\\\\\\\\\\\\\\\\\\\\\\\'ll receive FREE installation quotes from a trusted contractor in your area. Give it a try, there\\\\\\\\\\\\\\\\\\\\\\\\\\\\\\\'s no obligation to purchase.